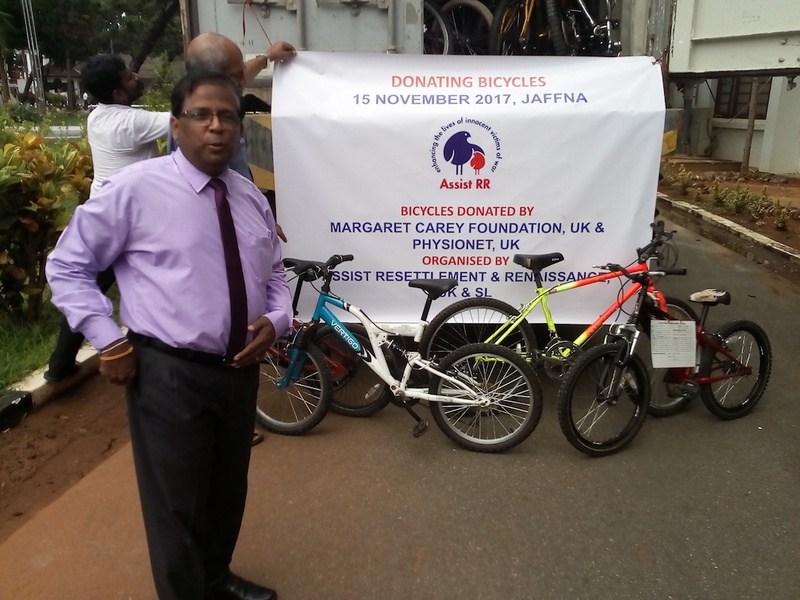 A UK based charity called Margaret Carey Foundation (MCF) collects used bicycles and refurbishes them in a rehabilitation program in the UK, where MCF provide hands-on experience on repairs of bicycles. Another charity called PhysioNet are then responsible for storing and distributing them to the needy. 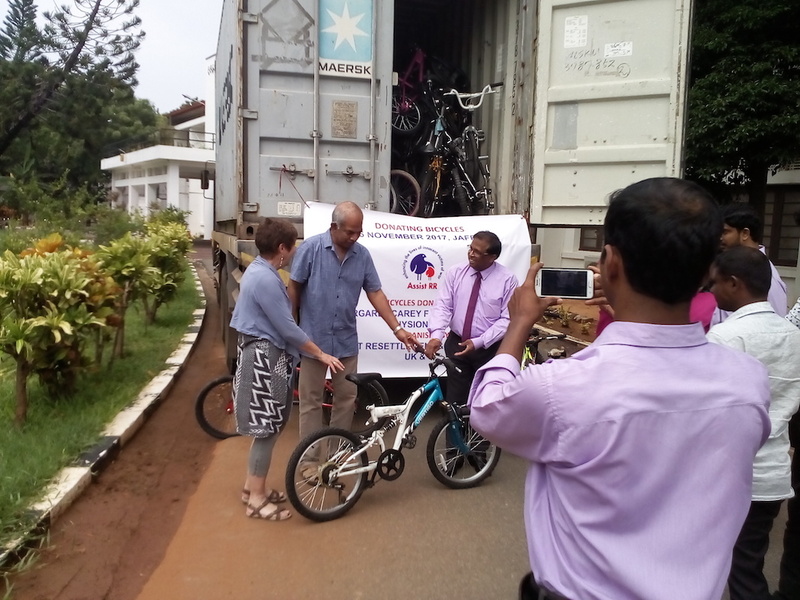 MCF and PhysioNet agreed to assist the needy children in Sri Lanka and collected nearly 200 bicycles for this purpose. PhysioNet then arranged the shipment of these bicycles in early September in a 20’ container, which had room for 176 bicycles. 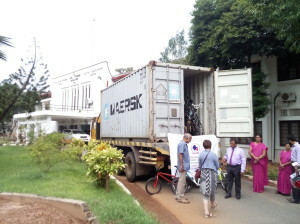 It arrived in Colombo on 3rd October and reached Jaffna last Wednesday (15/11). The finance ministry gave us duty exempt for these bicycles. All 176 bicycles were handed over to Mr N Vethanayagan, Government Agent (GA) and District Secretary of Jaffna District, who will donate these bicycles to needy school children in Jaffna and Vanni. 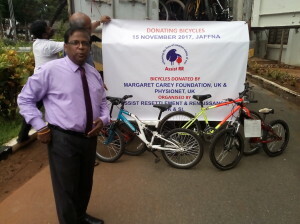 Assist RR would like to express its gratitude to the Diaspora Tamil, who made the connection but wants to remain anonymous, PhysioNet and Margaret Carey Foundation for arranging 176 bicycles to be donated to needy children in Sri Lanka. 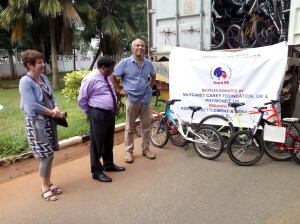 It also would like to thank Mr Sivagnanasothy, Secretary of Ministry of National Integration and Reconciliation for providing funds to meet the local costs incurred in receiving the bicycles and Jaffna GA Mr Vethanayagan, and Mr Sriranhan, ADP, District Secretariat, Jaffna for their hard work in making this happened. 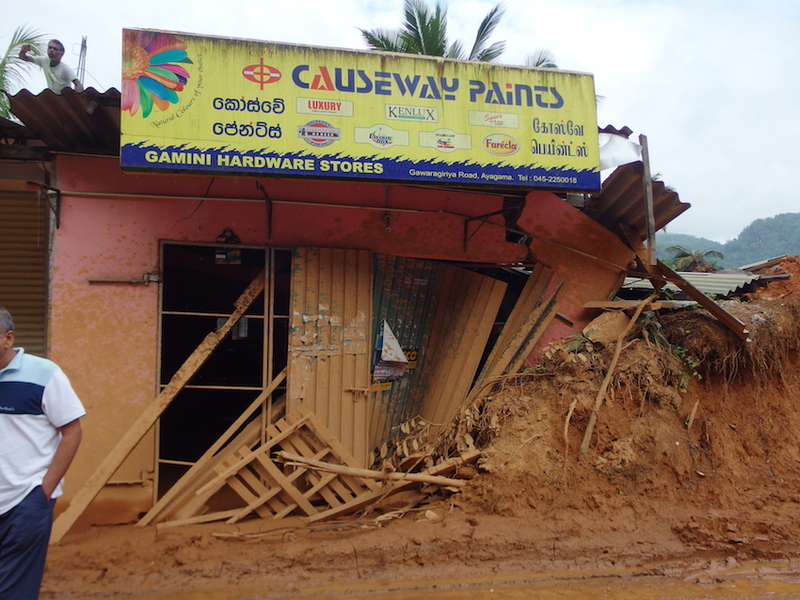 In 1982, there was flooding in Kilinochchi. 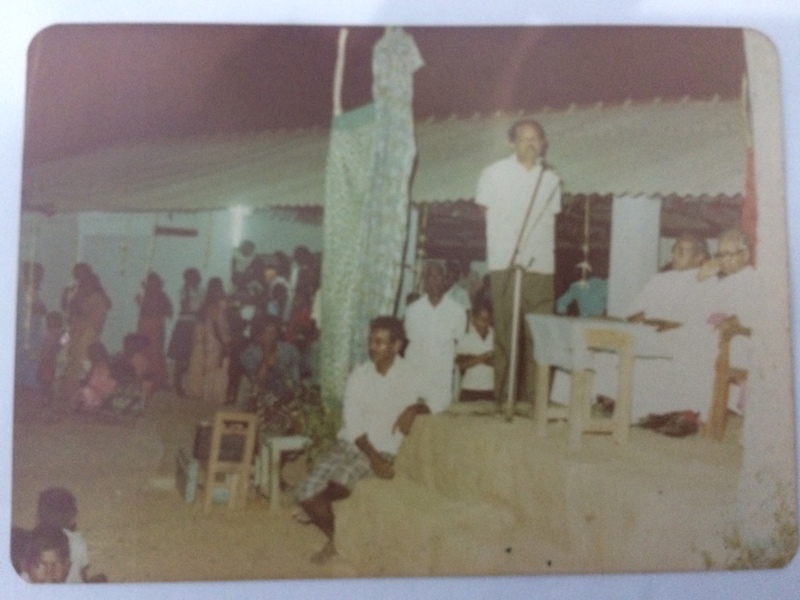 1980 engineering undergraduates from University of Peradeniya including our Chairman, Sarveswaran, collected dry rations and went to Kilinochchi to hand over them to flood victims. 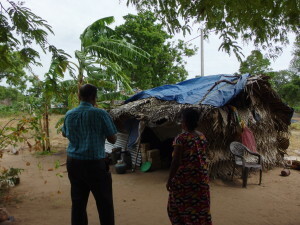 After handing over the rations, they started talking to the villagers, who were predominantly upcountry Tamils and were displaced following the 1977 communal riots. The villagers told that they desperately wanted to educate their children. They were struggling to get school admissions in Tamil schools to their children. They asked whether the undergrads could provide them with a building so that they can start teaching their children in Tamil. 1980 engineering batch mates took their request as a challenge and raised funds, while they were continuing with their degree course. Eventually, the batch managed to construct a building for a school, which was then handed over to the local priest Fr Pias. The school was named “Sivapatha Kalaiyagam”. 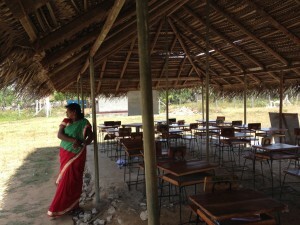 Fr Pias continued with his services to this school and managed to convert it into a government school. 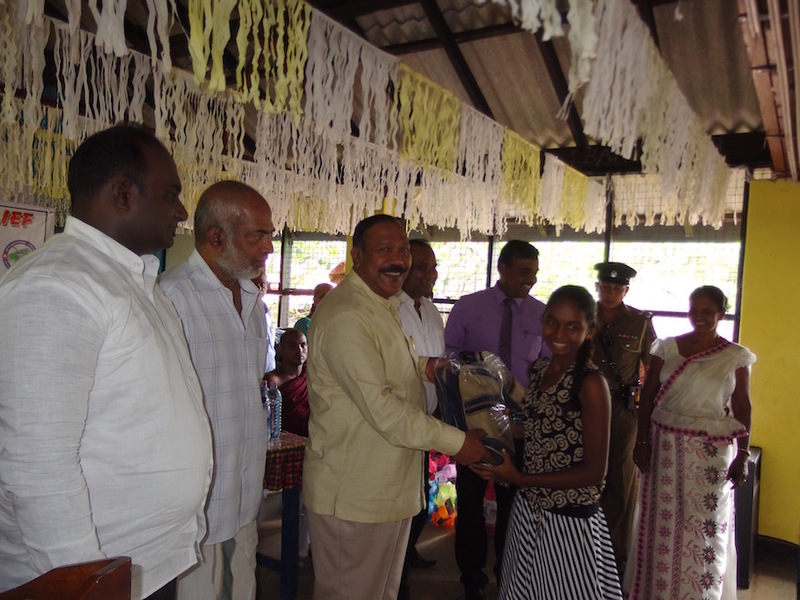 The school has grown very well over the years and is providing education to pupils up to GCE (O/L). 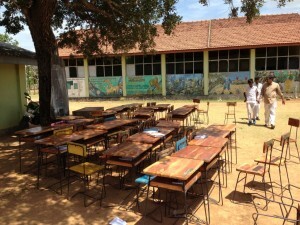 Recently, there was a news item about this school telecasted by Sakthi TV. The link is given at the end of this email. There were many needs at this school as exposed by the TV news item. 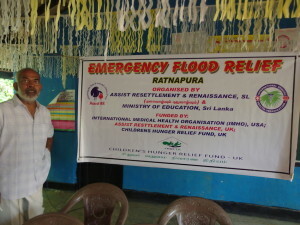 Assist RR and our E80 Peradeniya engineering batch mates got together and managed to meet some of the needs (please refer to the attached link). 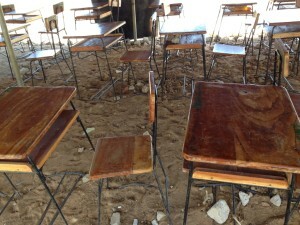 However, the school is still lacking classrooms for conducting lessons. They are currently conducting some lessons in a temporary shelter and under a tree. Some photos are attached. The principal has been asking whether Assist RR could provide a 100’ building that solve their classroom shortage. If we could raise £25,000.00, we could construct a 100’ building that would provide a safe and acceptable environment to the school children for learning. 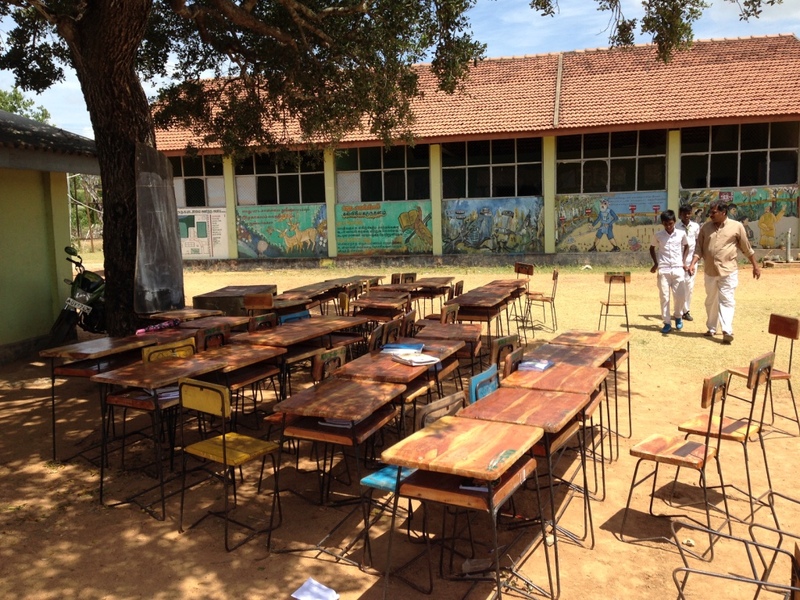 Assist RR recently completed a similar building to Puthukudiyiruppu Roman Catholic Tamil Mixed School. A Malaysian Family with Origin from Urumpirai East have pledged Rs 3.0M (£15k) in memory of their Maternal Grandparents for constructing a classroom building to war affected Sivapathakalaiyagam GTM school. We need another Rs 2M (around £10k) to complete this building. If any organisation or individual is interested in contributing to this project, please kindly contact us. Please share this with your friends and family as well. Our chairman and his wife (Dr Velautham & Mrs Ananthi Sarveswaran) have been in petroleum retail since 2002. 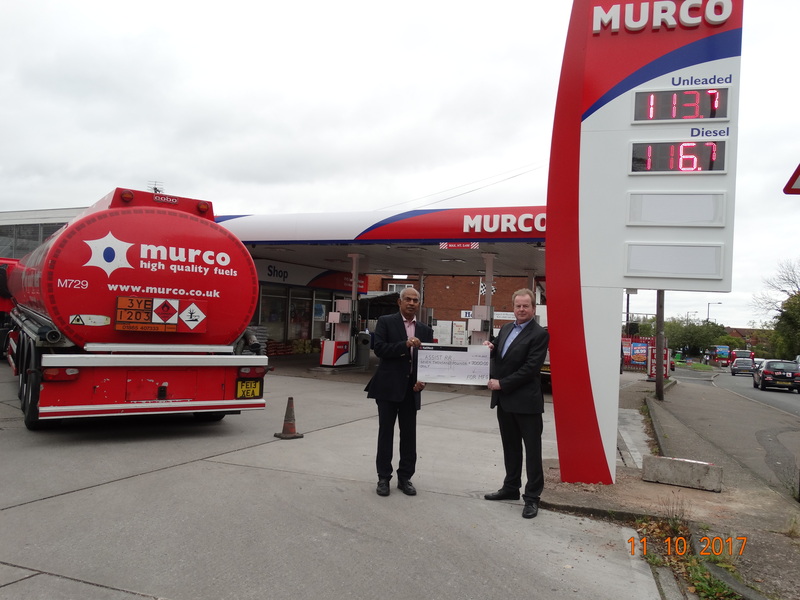 They recently switched their fuel supplier from Harvest Energy to Motor Fuel Group (MFG), Murco Branded fuel, at one of their sites in Birmingham. 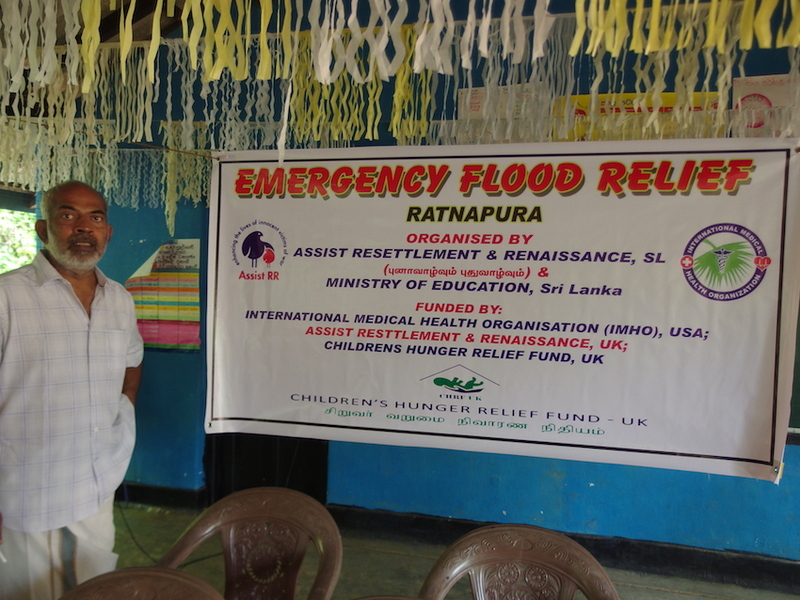 The director of MFG, Jim Mulheran, who has visited Assist RR’s website has been impressed by the charity’s humanitarian and compassionate works. Keen to support such a good cause, MFG agreed to provide a £7,000 donation to Assist RR to help the needy people in Sri Lanka. This money will be spent on several projects and will be reported to MFG as well as to our supporters. 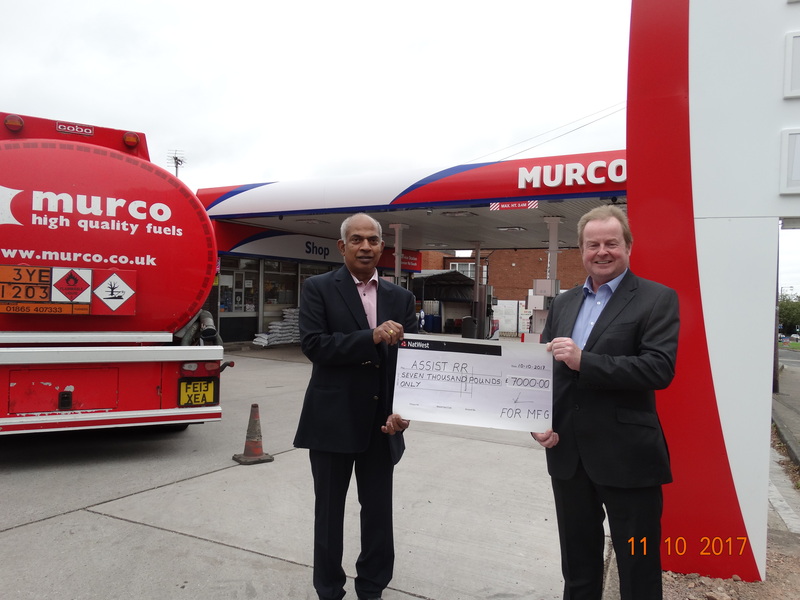 Assist RR, on behalf of the needy people in Sri Lanka, would like to express its gratitude to MFG for their generous donation. This story proves “Ask, and it will be given to you; seek, and you will find; knock, and it will be opened to you”. Assist RR made an appeal in Feb 2017 seeking more support towards the resettlement of Sampoor IDPs. 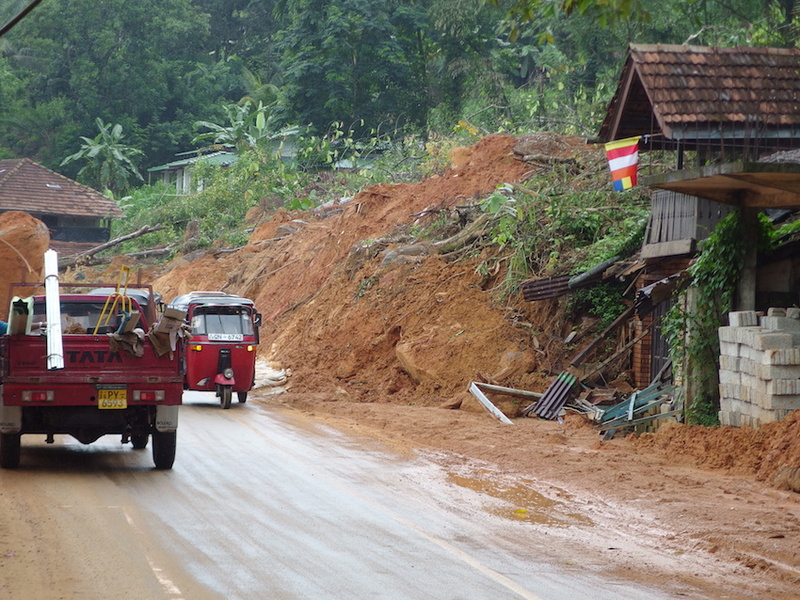 As a result, Assist RR has now constructed 50 more shelters and are currently constructing another 10 shelters. 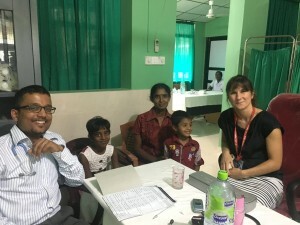 Donors who generously contributed to these shelters are: IMHO USA – 23; IMHO Canada – 30; A Tamil from USA – 3, Tamils from Singapore – 3; A Tamil from UK – 1. Since the start of resettlement of Sampoor IDPs in Sept 2015, Assist RR, with the support of many Diaspora organisations and kind hearted individuals from around the globe, has managed to build 161 permanent toilets and 180 semi-permanent shelters. 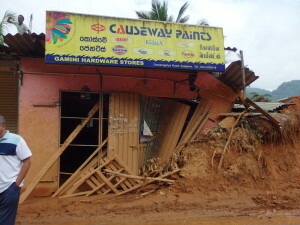 IMHO USA has pledged funds to construct another 60 shelters. IMHO USA also donated funds to assist fishermen families by providing five sets of fishing boats, engines, and nets at a cost of Rs 550,000 per set. These were handed over at a ceremony on 25 June 2017. 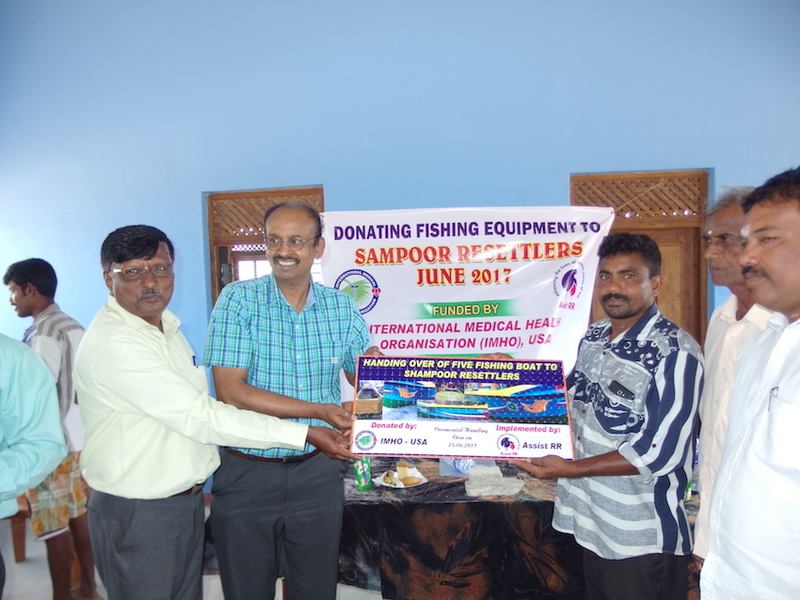 Treasurer of IMHO USA, Mr Murali Ramalingam, participated at this event and handed over these items. 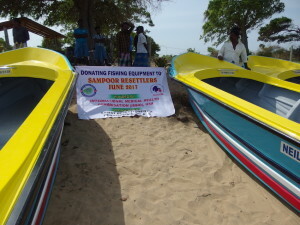 IMHO USA has also agreed to fund five more sets of fishing equipment. There is still need for more shelters in Sampoor. The cost of a shelter is only £600. Please assist these unfortunate families, who are struggling without a decent shelter even after 2 years of resettlement. Please see photos below. 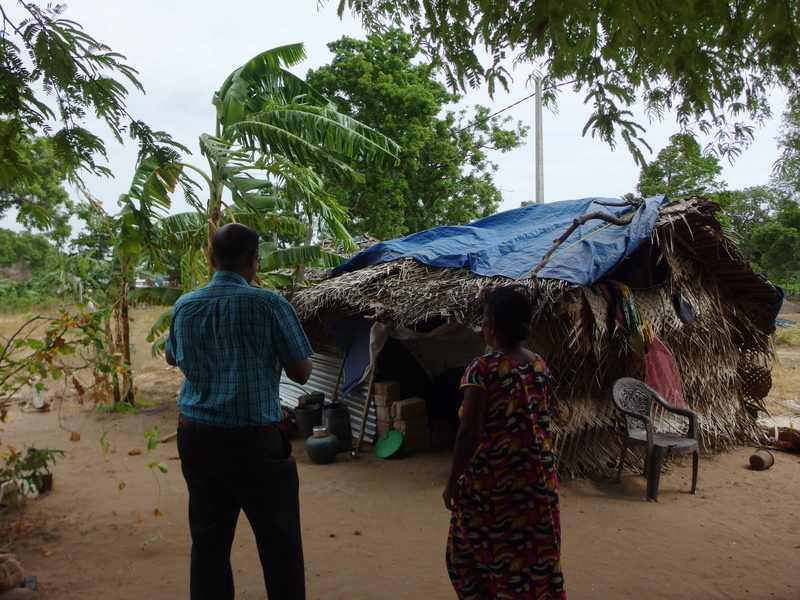 You can also watch a youtube link, which shows the living condition of a widow: Living Conditions in Sampoor after their Resettlement. 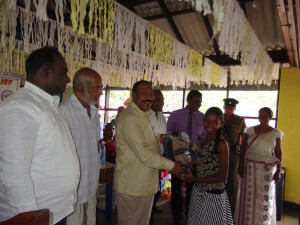 We would like to express our gratitude to IMHO USA, IMHO Canada, and Diaspora Tamils from the USA, Singapore, and the UK for their kind support in assisting the IDP families in Sampoor. We also would like to thank Assist RR SL’s President Eng Henry Amalraj and Treasurer Eng Nalliah Sriskandarajah for their selfless services to the victims of war in the north and east. அண்மையில் எனது இலங்கை பயணத்துக்கு முன், 04/06/17 அன்று யேர்மனி கேவலார் என்ற இடத்தில் திருமதி கலைவாணி எகானந்தராஜா அவர்களுடைய ஒலி/ஒளி இறுவெட்டு வெளியீட்டிற்காக அழைக்கப்பட்டிருந்தோம். 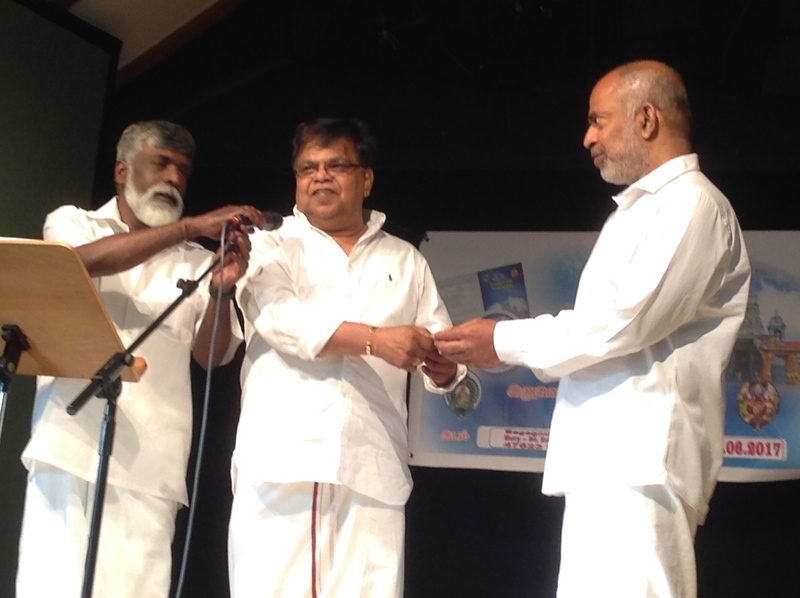 திருமதி கலைவாணி அவர்களினால் உருவாக்கப்பட்ட ஜெர்மனி/நையினை நாகபூசணி பாமாலை பாடல் இறுவெட்டினை வெளியீடு செய்து அவரை கௌரவப்படுத்தும் வாய்ப்பினை ஏற்றுக்கொண்டோம். பாடல்கள் அனைத்தும், தென் இந்திய கலைஞர்களுக்கு ஈடாக பாடப்பட்டிருந்தமையை அவதானித்தோம். 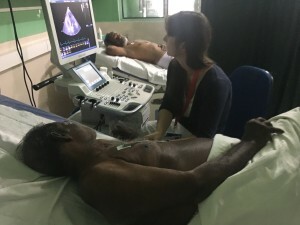 ஈழத்து இசைத்துறைக்கு திருமதி கலைவாணியின் சேவை நீண்டகாலம் தொடரவேண்டும் என வாழ்த்துகிறோம். அத்துடன் அவ்விடத்தில், இலங்கையின் வடக்கு, கிழக்கு மாகாணங்களுக்கான புனர்வாழ்வும் புதுவாழ்வும் (Assist RR) நிறுவனத்தின் வேலைத்திட்டங்களை பரப்புவதற்கான ஒரு சந்தர்பமாகவும் எடுத்துக்கொண்டேன். புனர்வாழ்வும் புதுவாழ்வும் (Assist RR) நிறுவனத்தின் வேலைத்திட்டங்களையும், போரால் பாதிக்கப்பட்ட மக்களுடைய தேவைகள் பற்றியும் ஒரு ஆவண விளக்க உரையை நான் செய்திருந்தேன். அந்த விளக்கவுரை பார்வையாளரிடையே நன்றாக உள்வாங்கப்பட்டதுடன், தொடர்ந்தும் ஜேர்மனியில் இதுபோன்ற ஆவண விளக்க உரைகளை நடாத்தவேண்டும் என்று கேட்டிருந்தனர். 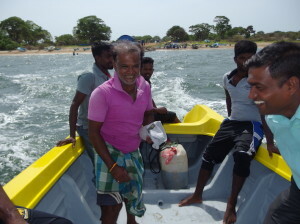 பார்வையாளர்களில் ஒருவர், இந்த தேவைகளுக்காக நாமும் ஏதாவது பங்களிப்பு செய்யவேண்டும் என கூறி ,பார்வையாளர்களிடம் பணம் சேகரிக்க தொடங்கினார். அங்கு திரட்டப்பட்ட உதவிப்பணம் 385 யூரோவாக உயர்ந்து எம்மிடம் கையளிக்கப்பட்டது. கேவலர், யேர்மனி இடம்பெயர் தமிழர்கள், போரால் பாதிக்கப்பட்ட மக்களுடைய ஏதாவது தேவையை நிறைவேற்றுமாறு எங்களிடம் கேட்டிருந்தனர். நான் யூன் 6 முதல் யூன் 15 வரை இலங்கையில் நின்ற போது, பாட்டாளிபுரம், மூதூரில் உள்ள பின் தங்கிய கிராமத்துக்கு சென்றிருந்தேன். 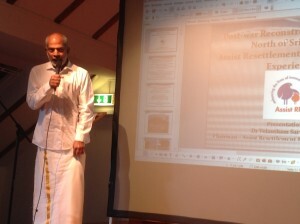 மூதூரில் ஏழு கிராமங்களில் தமிழ் ஆதிவாசிகள் (வேடுவர்கள்) வசிக்கிறார்கள். அங்கு உள்ள ஆதிவாசிகள், தேன் எடுப்பதுவும், விறகு வெட்டுவதும், வேட்டையாடுவதும் தமது வாழ்வாதாரமாக கொண்டுள்ளனர். 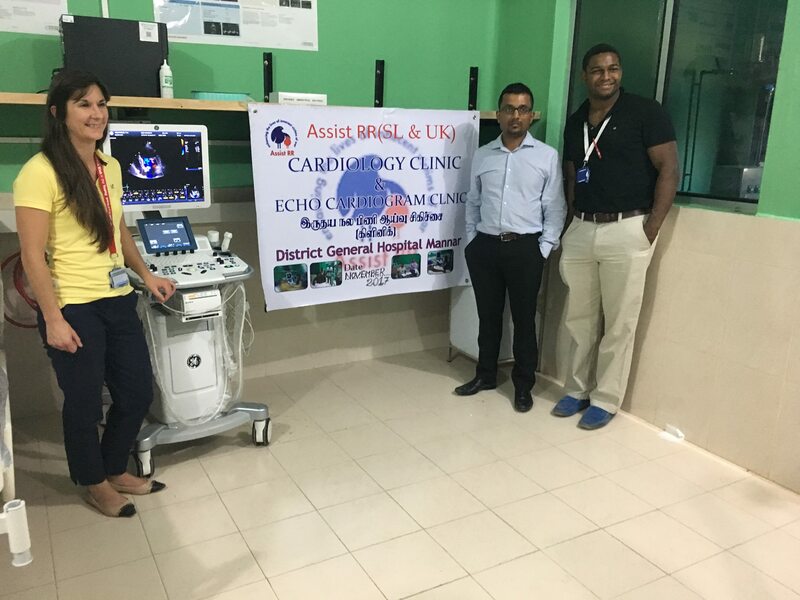 பலவகைகளிலும் அவர்கள் தமது வாழ்க்கையை முன்னேற்றுவதற்கு உதவி தேவைப்பட்டவர்களாகவும், தனிமை படுத்தப்பட்டவர்களாகவும் உள்ளனர். புனர்வாழ்வும் புதுவாழ்வும் நிறுவனத்தின் மூலம் பாட்டாளிபுரம் பாடசாலை பிள்ளைகளுக்கு மிதிவண்டியும், பாடசாலை முடிந்தபின் மேலதிக கல்வி உதவியும் செய்ய முன்வந்தோம். எங்களுடைய வாக்குறுதியில் அவர்கள் நம்பிக்கையற்றவர்களாக காணப்பட்டனர். காரணம் அவர்கள் கூறினார்கள் “எத்தனையோ பேர் வந்தார்கள், போனார்கள் அவர்களிடமிருந்து எந்த உதவிகளோ, ஆதரவோ கிடைத்ததில்லை” என வருத்தம் தெரிவித்தனர். சென்ற ஞாயிற்றுக்கிழமை (25/06/17) இலங்கைக்கான எமது நிறுவனத்தின் தலைவர் திரு. கென்றி அமல்ராஜ் மீண்டும் பாடாளிபுரம் சென்று, 04/06/17 இல் கேவலர், யேர்மனி இடம்பெயர் தமிழர்களால் திரட்டப்பட்ட உதவிப்பணத்தில், ஆறு மிதிவண்டிகளை கொள்வனவு செய்து அந்த பகுதி மாணவர்களுக்கு கையளித்தார். 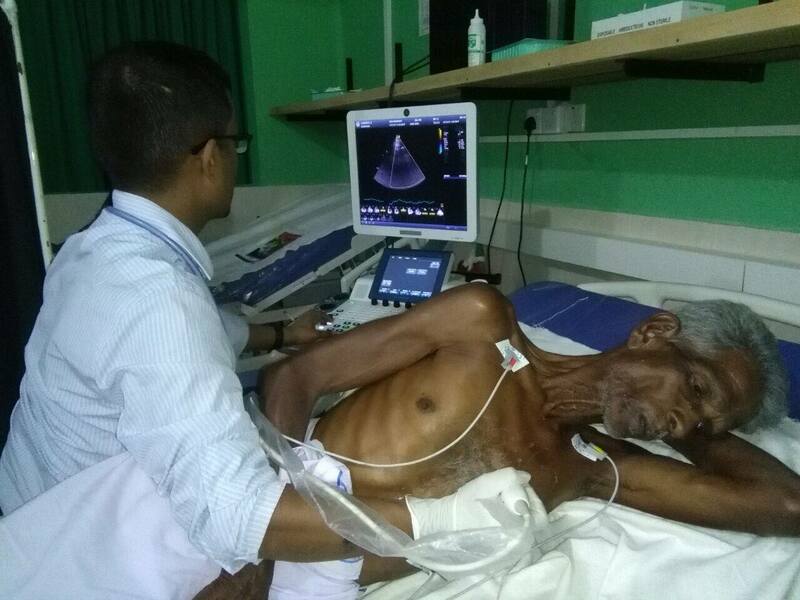 திருமதி கலைவாணி அவர்களின் இறுவெட்டு வெளியீட்டுவிழாவில் இந்த பங்களிப்பை வழங்கிய அனைவருக்கும் நன்றி கூற கடமைப்பட்டுள்ளேன்.